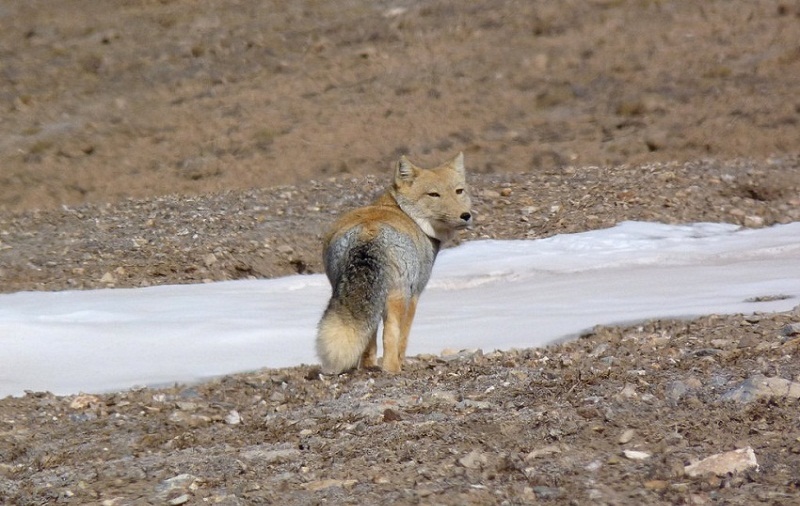 The Tibetan Sand Fox (also known as Tibetan fox or sand fox), is a species of foxes endemic to the Tibetan Plateau and the surrounding regions. They are characterized by their unique square head, as opposed to the elongated head of most other fox species. They have a static population but are often hunted down by the locals for their fur. Size: The is 50 to 70 cms (19.6 – 27.6 inches) in length, with the tail length being 29 and 40 cms (11.4 – 15.7 inches). Weight: They weigh between 3 and 6 kgs (6.6 – 13.2 lbs). Fur/Coat Colors: They have thick fur with a dense undercoat. The body hair has varying colors – black, brown, rusty, yellowish on the back and neck region. There is also a tawny band on the dorsal part of the body, and some white coloration on the tail and belly. 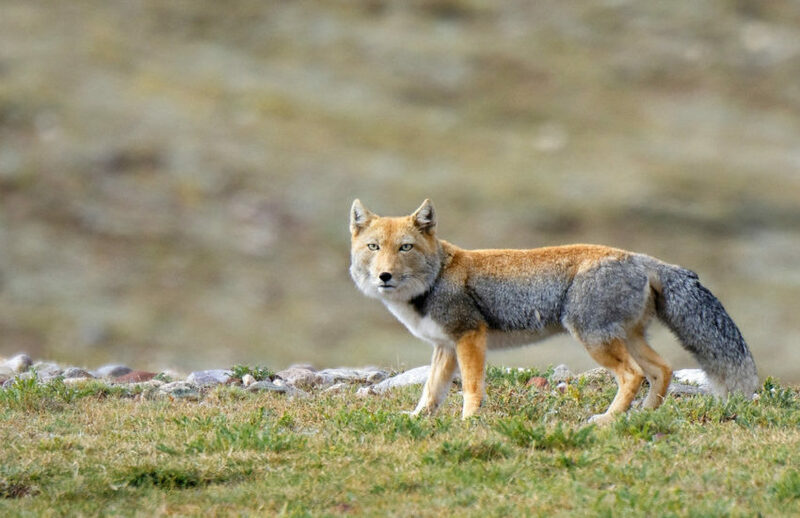 Head/Face: Unlike most other species, this fox has a rather broad, squarish face, and hence, the muzzle, too, happens to be relatively shorter than many other species. Their skulls are designed mostly for carnivory. Feet: Stout, well-muscled feet helping them run fast when required. Eyes: The pair of eyes are large, long, dark, and almond-shaped. Tail: Like most other species, the tail of this fox is long, bushy, and touches the ground when standing. Sexual Dimorphism: The sexes look almost similar, with the males being slightly stockier than their female counterparts. The longevity of the fox has not yet been confirmed. However, researchers believe that they live for about 8 to 10 year in the wild. 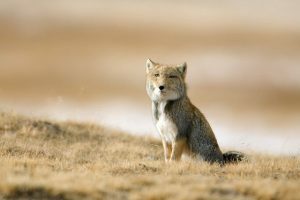 The Tibetan sand foxes are widely distributed throughout the Tibetan Plateau, the Ladakh plateau, and in parts of China, Sikkim, Bhutan, and Nepal. 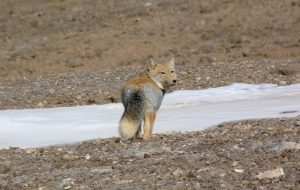 These foxes live in burrows around the base of large boulders, at the old beach lines, moderately low slopes of the plateaus, steppes and semi-desert areas. 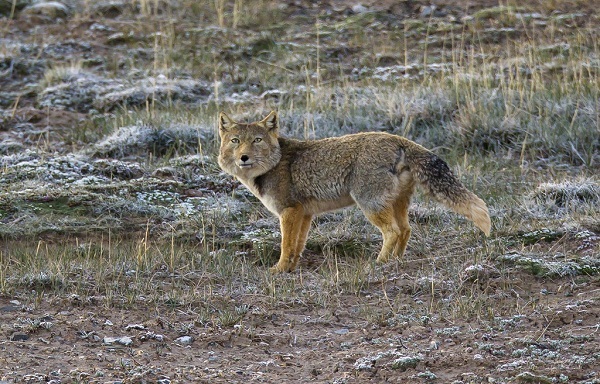 No subspecies of the Tibetan sand fox has yet been classified. 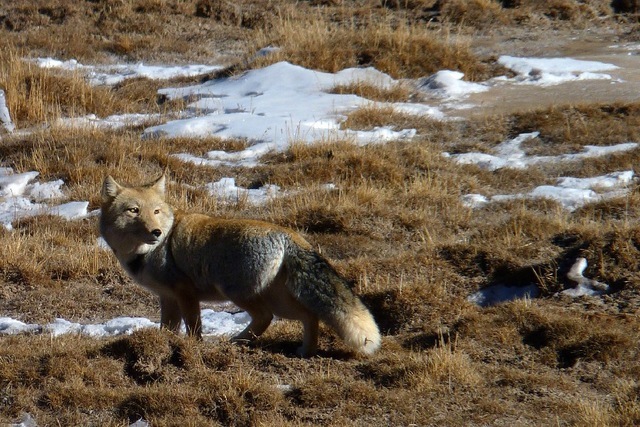 The Tibetan sand foxes are not too much territorial. It is often seen that several pairs are living in close quarters and sharing hunting grounds. Mostly, one male and one female go out to hunt together and share whatever food they can manage to catch. They are seldom seen wasting their food, consuming almost the entire prey. If they feel threatened, they return to their dens. Their primary prey of the Tibetan sand fox is the plateau pika. 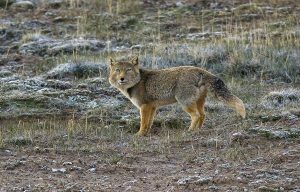 They also eat rodents, woolly hares, marmots, hares, rabbits, lizards, and small ground birds. The foxes would also scavenge on the carcasses of different animals. However, they have also been seen consuming fruits when food is scarce. Pairs that have once mated live together for life. However, it is not yet known whether an individual seeks another mate when one of the partners dies. After a successful mating, and a gestation period of 50 to 60 days, the female gives birth to two to four kits inside their family den. The juvenile young ones stay with both the father and the mother until they attain the age of 8 to 10 months. The burrows that Tibetan sand foxes live in, often have four entrances, with each one being 25 to 35 cm in diameter. 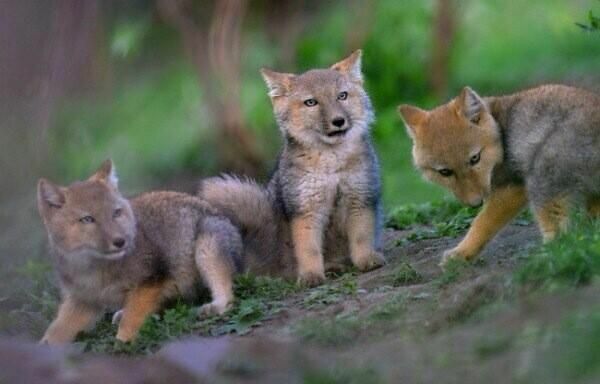 As the baby foxes grow up, they leave their parental den to seek their mates, as well as their own home ranges. The combination of the yellowish and the grey color of their coat help them camouflage easily in the vegetation of their arid, rocky, and semi-desert environment. The triangular ears with pointed tips render a better hearing ability to locate any approaching danger. The only known enemy of the Tibetan sand foxes are humans that usually kill them for their fur, as mentioned. Because of their static population, the IUCN 3.1 has declared them as ‘LC’ (Least Concern). This canid may form a commensal relationship with brown bears during hunts for pikas. While the bears dig the creatures out of their holes, the foxes chase and catch them. 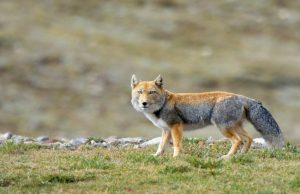 This animal is often confused with the corsac fox (Vulpes corsac), and the Rüppell’s fox (Vulpes rueppellii), both of which are also known as the ‘sand fox’. The foxes in some parts of their habitat are heavily infected with Echinococcus, a group of tapeworms, as also, hosts of alveolar hydatid disease. 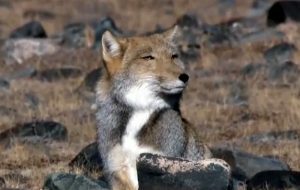 In 2006, the BBC filmed the Tibetan sand fox in their ‘Planet Earth’ series.